Plausible evidence of Viking sunstones has eluded scientists until now. A Elizabethan shipwreck near the channel islands, between England and France, has yielded up what appears to be an ancient sunstone - the near-mythical navigation tools of the ancient Vikings. 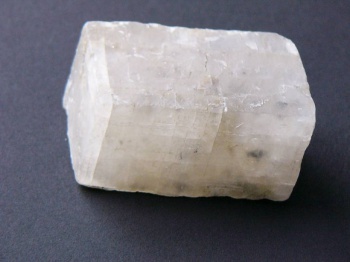 Archaeologists conjecture that the stone, a piece of Icelandic Spar would have been used because of its unique refractive qualities. Calcite crystals like Icelandic Spar create a double image, splitting light into two rays. If the crystal is held east-west, the double image becomes a single image and thus allows a sailor to locate the sun. The crystal's refractive qualities continue to be useful even in low light, on a cloudy day, or for a while after the sun has set. That the crystal was found aboard an Elizabethan era ship shows a long history for the sunstone in navigation - by the 16th century, European navigators had compasses, but the sunstone would have been a reliable backup. Stones like the one found aboard the shipwreck have yet to be found in Viking settlements, though recent excavations have found fragments. It's unlikely that a complete crystal will ever be found in a Viking site because Vikings preferred to commit their dead to funeral pyres - cremating them and their grave goods. Scholars have long disputed the existence of sunstones because they're contained in the saga of Saint Olaf, a tale with many magical elements. The stone was found in the shipwreck not more than three feet from other navigation tools. Researchers in a previous study confirmed that a fragment of calcite crystal could be used for navigation. The crystal found in the English Channel would be useless for navigation today, as it has been abraded by centuries of sand and salt.